The capability switch is one of the simpliest yet important pieces of assistive technology. A person with physical disability that limits that use of their hands or mobility might use a capability switch to control household appliances, TV, access and control their computer mouse or even drive their wheelchair all from a switch. The standard capability switch has one end with a 1/8″ (3.5mm) mono audio plug (the male end) which can be plugged into a variety of switch adapted/controllable devices. 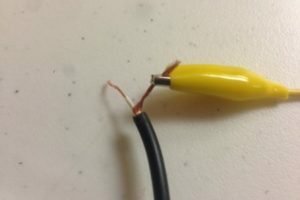 The 1/8″ mono plug has two wires inside (mono has 2 wires, stereo has 3), the wires are neutral in terms of power or ground, they are simply two wires that can be used to open or close a switch. The other end of the switch is typically button like, it might have a plastic shell, it might have a tangible click or snap. Inside this switch are two wires simply touching, making a connection that allows the operation of the devices or perhaps extends the switch of another electronic device. In this project you will make a capability switch with basic parts from your local hardware and electronic stores. 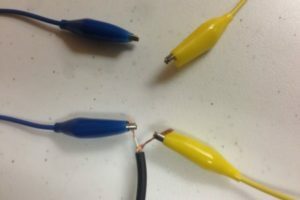 2 Alligator clips cables – with clips on each end of cable. 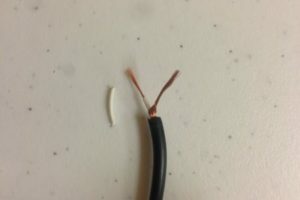 If you have a 1/8″ mono cable that has two male plugs, cut in half. 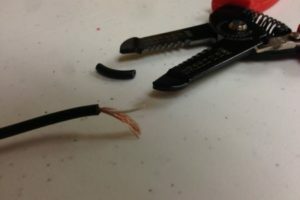 Strip off 1 inch of the plastic insulation from the end of the cut side on the cable. This will expose 2 wires (mono) one wire might have its own insulation, the other wire might be bare copper. Strip the insulation off the internal wire to expose its copper. Twist the copper strands of each wire separately to make a more solid wire to work with. 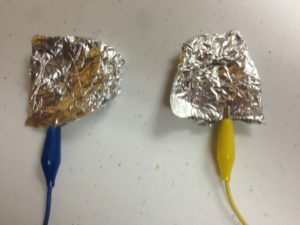 Next we will discuss using aluminum foil to make a switch. 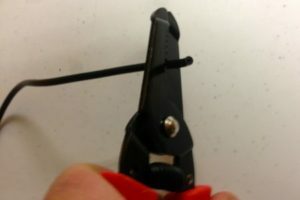 Take one alligator clip cable and connect one of the clips to one copper wire. 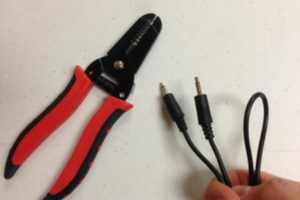 Take another alligator clip cable and connect one of its clips to the other copper wire. At the end of the alligator clips connect two pieces of aluminum foil. 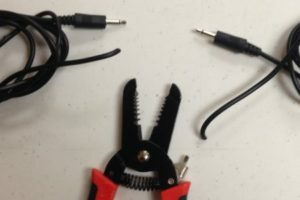 Each alligator clip cable should have one piece of aluminum foil and the other end connected to a copper wire inside the 1/8″ mono cable. If you have a switch adapted device or toy near by, plug in your 1/8″ mono plug. Now touch both pieces of foil together. This action “closes” the switch and activates the toy. Where to go next? 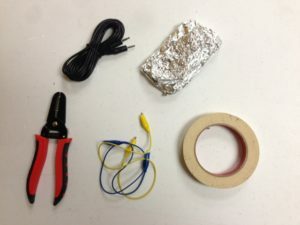 Foil is great to make finger rings, head switches, make two mittens for High-Five switches, cardboard foot pedal, what kind of switches can you imagine?